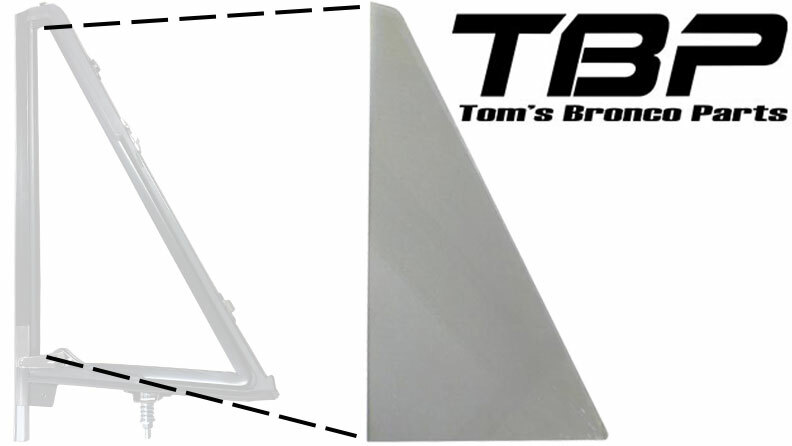 New TINTED OE Quality Vent Window Replacement Glass for 66-77 Broncos. Glass is sold per window. This glass is tempered to meet DOT safety standards. Our OE quality vent window glass is a direct replica of the original size and shape of the original glass, so it fits the Bronco vent window frame perfectly.